Donate to The Bridge Fund of New York Inc. We depend upon private contributions like yours for the vast majority of our funding. Use your credit card to donate to The Bridge Fund of Westchester and/or The Bridge Fund of New York City. NYCharities.org provides a safe and secure donation processing. When you click on the Donate button, you will be asked to provide credit card billing information, which is then verified by Authorize.Net, PCI Certified and Norton Secure, providing the utmost security to protect your information. 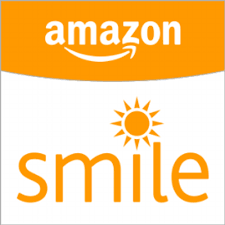 Support The Bridge Fund of New York Inc. by shopping at AmazonSmile. When you shop at AmazonSmile, Amazon will donate to The Bridge Fund of New York Inc. Support us every time you make a purchase. Please consider naming The Bridge Fund of New York Inc. in your estate planning. Your contribution, through a bequest, is a wonderful way to sustain our homelessness prevention programs into the future. If your church or social club makes charitable contributions, nominate The Bridge Fund of Westchester or The Bridge Fund of New York City as a recipient and make a difference to your community. Ask your company if they will match your gift. The Bridge Fund is pleased to recognize the generous support of the companies and foundations who match donors’ gifts. To request an Annual Report or more information, please see our Contact page. Payable to: The Bridge Fund of New York Inc. The Bridge Fund of New York Inc. is a 501(c)(3) charitable corporation. Contributions to The Bridge Fund of New York Inc. and its operating programs are tax deductible to the full extent of the law. This policy applies to all information received by The Bridge Fund, both online and offline, on any Platform (“Platform”, includes The Bridge Fund website and mobile applications), as well as any electronic, written, or oral communications.